Exhilarating and astonishingly ambitious, Sebastian Schipper’s Victoria is an adrenaline-fuelled heist thriller set on the streets of nighttime Berlin that features the staggering technical feat of being shot in a single, unbroken take. Victoria (Laia Costa), a young woman from Madrid, meets four local guys outside a nightclub in the early hours of the morning. Sonne (Frederick Lau) and his friends are Berliners who promise to show her the real side of the city. Striking up a friendship, they take to a nearby rooftop to continue the night. But when the group are suddenly forced to repay a debt to a member of the city’s criminal underworld, the night quickly spirals out of control. Winner of the Berlin Silver Bear for Outstanding Artistic Achievement, Victoria is a breathless, visceral thrill ride of a film. Aided by a booming techno soundtrack by German composer Nils Frahm, it is a must-see experience for fans of boundary-pushing cinema. To mark the release of the exhilarating Berlin-set heist thriller Victoria, Curzon Artificial Eye and Berliner Pilsner are thrilled to present The Berliner Sessions - a series of film screenings that bring a taste of Berlin’s world-renowned nightlife to clubs and cinemas around the UK. In partnership with Berliner Pilsner, a stalwart of Berlin culture since 1963, The Berliner Sessions promise a unique celebration of one of the world’s most exciting cities. Enjoy a preview screening of Victoria, DJ sets, delicious traditional currywurst from Herman Ze German plus free Berliner Pilsner. The Berliner Sessions continue during the film’s opening weekend. 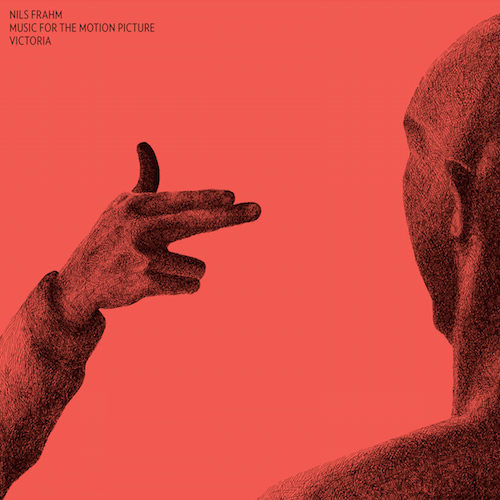 Nils Frahm has always said that he’s just waiting for something real special when being asked if he would ever score the music for a film. And that’s exactly what German director Sebastian Schipper presented to him with his one-take feature Victoria. The soundtrack opens with an edit of ‘Burn With Me’ by German producer DJ Koze. The digital Bonus Track Version features a previously unreleased track by Hamburg’s electro-punks Deichkind titled ‘Happy New Fear’ plus an additional DJ Koze track titled ‘Marilyn Whirlwind’ from his 2013 album.